Few of us make plans for our lives with our own deaths in mind, so perhaps it’s not surprising that architects don’t usually spend much of the design process thinking about the virtually inevitable demolition of their creations. It might seem as morbid and premature as college graduates making plans for their own funerals, but considering the entire life cycle of a structure before it’s even built could have a massive impact on the amount of waste we generate – and help us adapt to the uncertain conditions of the future. 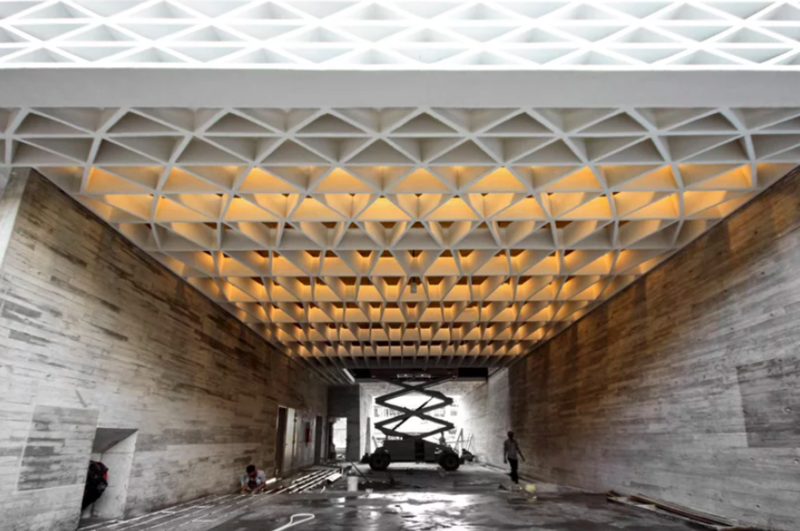 Though some buildings and infrastructure may stand for many hundreds of years, the vast majority of it is rendered obsolete in a matter of decades. Practical needs and aesthetic preferences change, and materials wear down. Currently, about 80% of all materials and minerals in circulation in the U.S. economy are consumed by the construction industry, and about 70% of construction waste is concrete. In 2010, the U.S. Environmental Protection Agency determined that an estimated 104 million tons of materials were sent to landfills from project sites around the country, and 92% of that waste came from demolitions and renovations. Construction debris often contains lead, asbestos, mercury, arsenic and other hazardous substances, and modern composite materials aren’t necessarily much better for human health and the environment. In the United States, where the average life span of highway bridges is about 70 years and the majority of bridges currently in use were built in 1945, we’re in dire need of a refresh, but all those crumbling structures will have to go somewhere. When the old east span of the Bay Bridge in Oakland, California was replaced, Caltrans took care to dismantle it so some parts could be reused in creative new ways, but the project still produced tons of lead-contaminated hazardous materials that were then sent to a landfill. What if the bridge – and others like it – had been designed with components that could easily be dismantled and reused for other projects? A movement called Design for Deconstruction (DfD), sometimes called Design for Disassembly, proposes the research and development of new structural system concepts that facilitate truly sustainable construction through the assessment of a project’s entire life cycle. That means there’s a way to reuse or recycle every component of a structure using existing recycling streams. 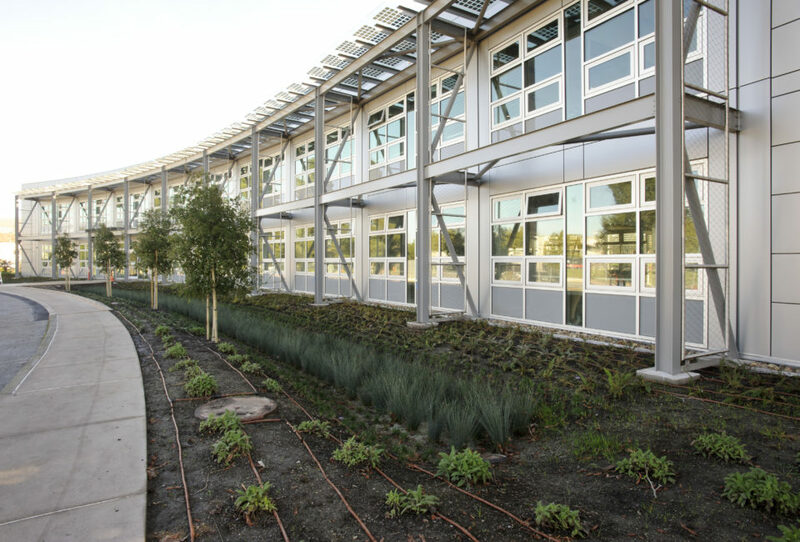 Spearheaded by architect and building scientist Bradley Guy, DfD offers a collection of design principles that aim for prefabrication, pre-assembly and modular construction, simplified connection details and building systems, minimized parts and materials, ease of disassembly, flexibility and adaptability, the use of reusable materials and considerations for worker safety. Design for Deconstruction was first defined in the 1990s, but the general concept has existed for much longer. 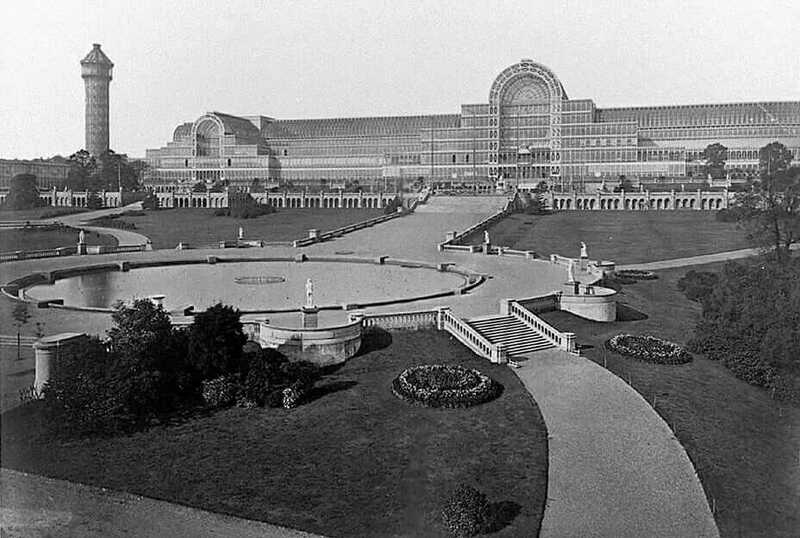 The Crystal Palace at Sydenham is an early example, built in Hyde Park, London to house the Great Exhibition of 1851. Made of cast iron and plate glass, the 990,000-square-foot building with an interior height of 128 feet was designed to be temporary, simple, cheap and easy to transport. Its modular panels were packed up and moved to South London for reassembly, and it remained there until its destruction by fire in 1936. The Future Arena, built for the 2016 Olympic Games in Rio de Janeiro, was designed to be dismantled and reused. One of the most important factors in DfD is the longevity of the materials. There are lots of temporary structures out there, built to be disassembled and transported, but few of them are designed to last, and they rarely even come close to approaching the scale of The Crystal Palace. Equally crucial is follow-through, as proven by a recent project in Brazil. 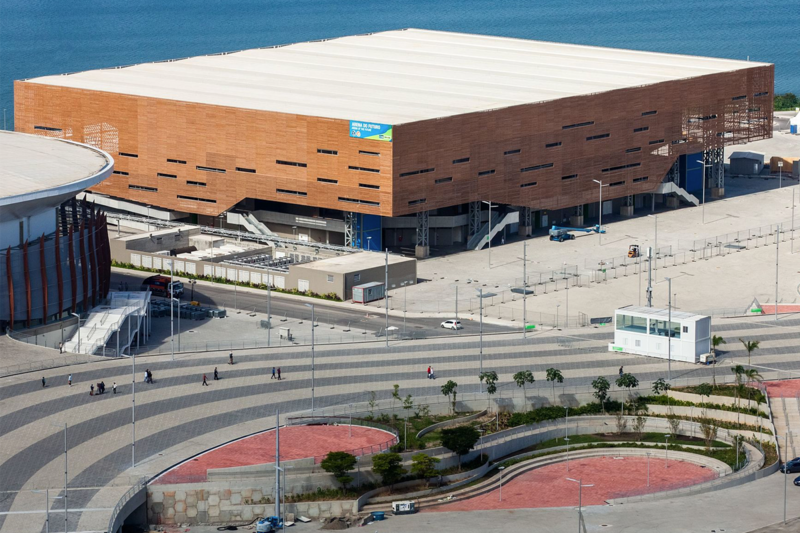 Like most structures built for the Olympic Games, the Rio 2016 Olympic Handball Arena was a prime candidate for experimental methods of reuse. At the start of the project, Brazil’s economy was booming, but by 2014, the country was in the grips of a recession. Plans to dismantle the Arena and transform it into four primary schools never came to fruition, and now it’s rotting along with the rest of the city’s Olympic structures – the very fate its architects hoped to avoid. 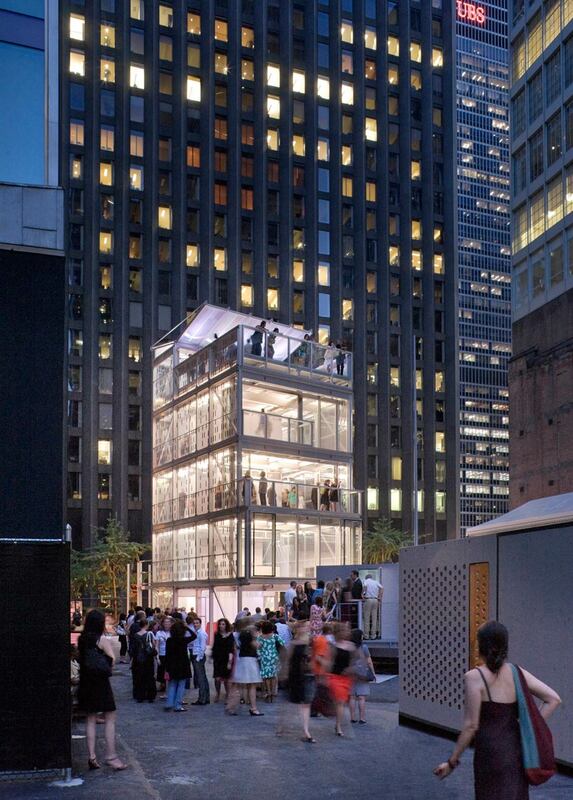 But when it’s done right, Design for Deconstruction has the potential to revolutionize the future of architecture. Closed-loop construction systems don’t just have a lower ecological footprint, they encourage innovation and produce unique aesthetics. Two houses by architecture firm Kieran Timberlake give us a glimpse of what this could look like. 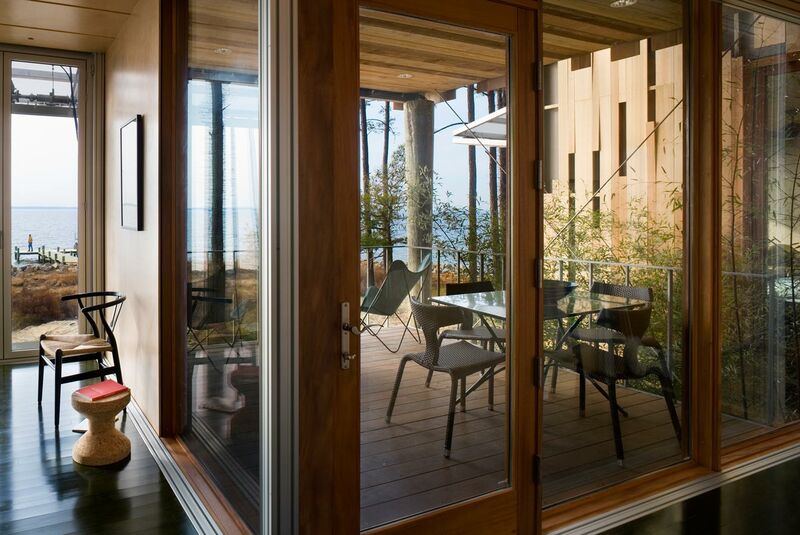 Loblolly House, built in 2006, takes inspiration from treehouses in its design and construction, with pre-built modules and “cartridges” that connect with simple hand tools. Cellophane House was assembled like a car, with the entire construction process broken down into integrated assemblies that were constructed off site, delivered by trailers and stacked with a crane. It was built for exhibition at the Museum of Modern Art in New York City. 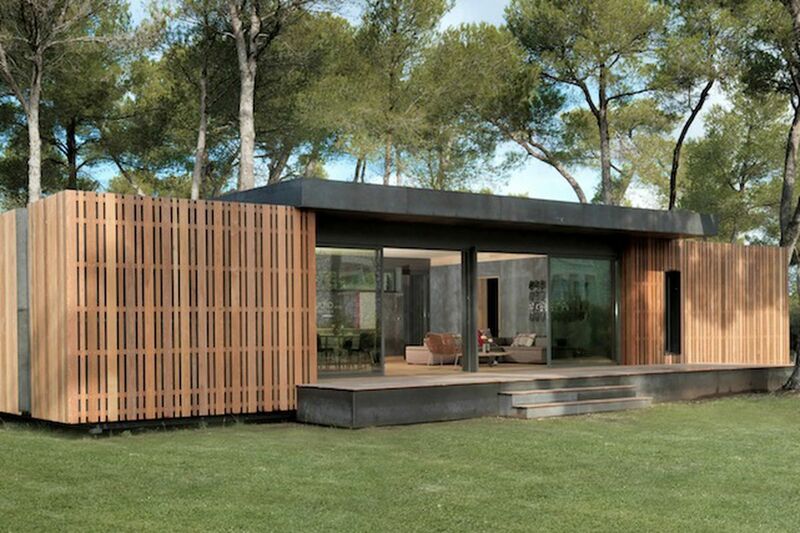 The Pop-Up House by Multipod Studio can be dismantled with a screwdriver. 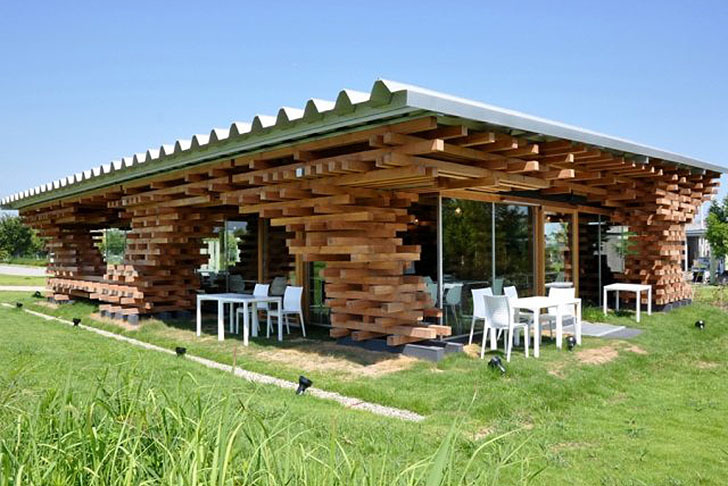 Other recent examples include Kengo Kuma’s Jenga-like Cafe Kureon, the Pop-Up House by Multipod Studio and ‘A Simple Factory Building’ by Pencil Office, which features a pollution-filtering facade, aluminum window walls and reinforced concrete construction designed to be fully recycled at the end of its 33-year lease period. 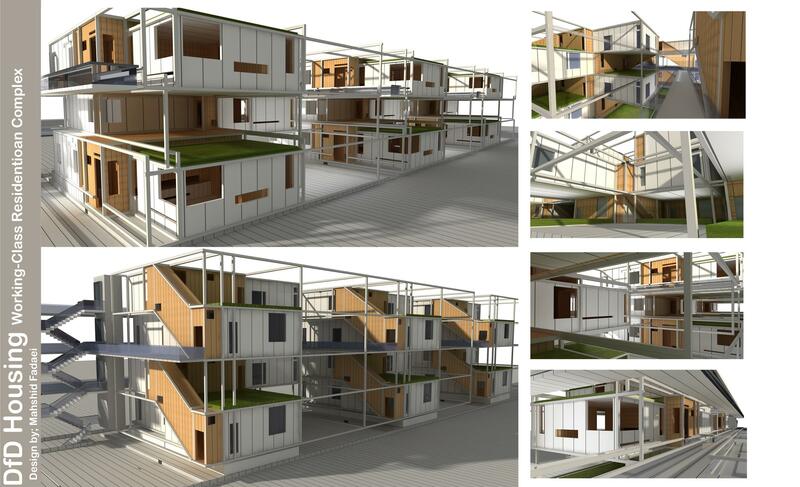 Iranian architect Mahshid Fadaei’s ‘Design for Deconstruction Housing for Working Class’ envisions an 800-unit complex set within a fully recyclable frame that uses easily replaced modular housing pods connecting to each other with a non-rigid plug-and-play system. While shipping containers are an obvious choice for this sort of system, they have some constraints that make them less than ideal in certain applications, making purpose-built pods an attractive option. Since Design for Deconstruction is still in its youth, we’ve yet to see many real-life examples of its end game in action. But as climate change and other factors call the conditions of the next century into question, architecture that’s made to be as adaptable, versatile and reusable as possible could help us weather whatever is to come, and finding a way to reign in our burgeoning landfills is a no-brainer.